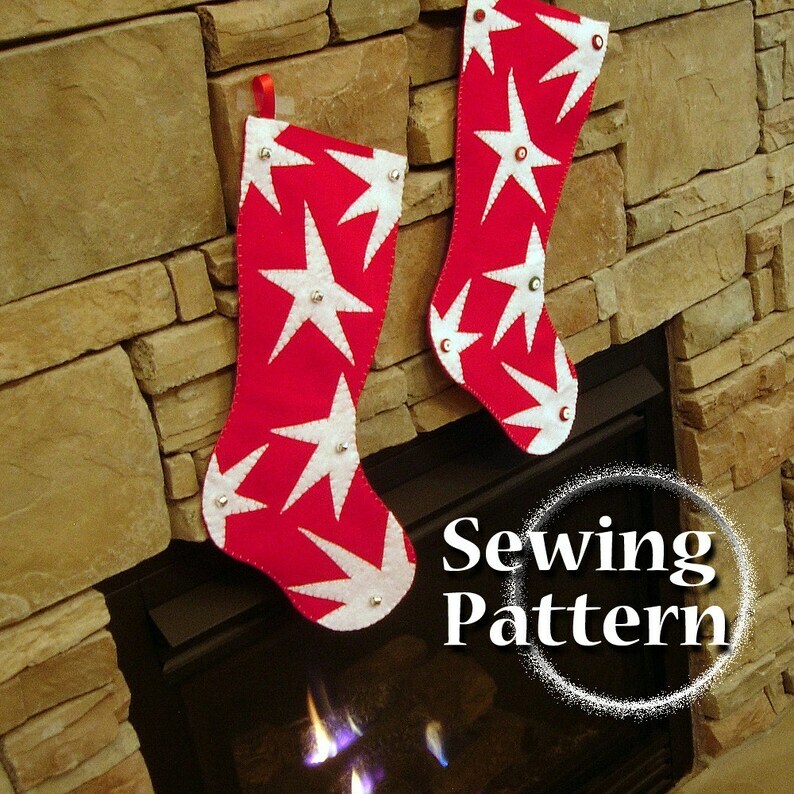 Make your own humongous Funky Star Christmas stocking and add some funk to your holiday decor. And the kids will love to see this nearly 2 foot (0.7m) long stocking filled with gifts from Santa Claus! Finished stocking will be 11-1/2" w x 21-3/4" L (29.2cm x 55.2cm). Opening is 8-3/8” across (21.3cm). A ribbon loop makes for easy hanging. Designed for beginners with some experience and takes 1 to 1-1/2 hours to make. Computer generated pattern is easy to assemble and detailed manual includes easy step-by-step instructions with over 20 photos and diagrams. Pattern pieces and manual are written in English with metric conversions. • Finished stocking will be 11-1/2" w x 21-3/4" L (29.2cm x 55.2cm). • A ribbon loop makes for easy hanging. ••the second file is the same file broken into letter size pages which can be printed on your personal printer and taped together.